Nostalgia gifts are always popular as we look to mementos of the past to understand decades gone by and stamps present an excellent snapshot in time. Reflecting the interests and designs of the time, stamps focus on popular themes owing to the widespread nature of their use. An example of this is the use of Game of Thrones on limited edition stamps at the start of this year. While there will certainly be people who have never seen the show it has nonetheless proved hugely popular with the commissioning of a new series being a news item in itself. Stamps also mark events in time such as royal weddings, landmark dates and anniversaries, for example 2018 marking 100 years since the end of the First World War. All these events are marked with the release of a stamp. Royal Mail has an online tool that allows people to look at the stamp collections issued in the year of their birth. Starting in the 1960s, Royal Mail’s collections show us that the giant radio telescope Jodrell Bank was held up as a technology icon, along with hovercraft. Stamps marking the first flight of concord in 1969 are another fantastic reminder of ambitious achievements. 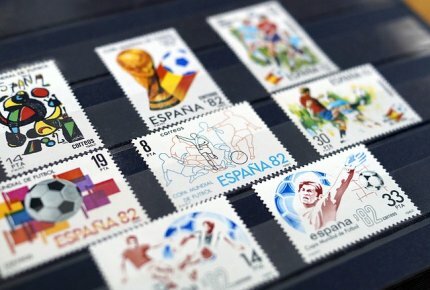 The highlight for sports fans would have to be the stamps celebrating England’s only World Cup victory to date in 1966. Skip forward to the 1970s and stamps celebrated the first direct European Assembly elections, the marriage of Princess Anne to Captain Mark Phillips in 1973 and 100 years of county cricket. The appearance of Halley’s Comet in 1986 was preserved in a collection of celebration stamps while the 1980s also saw the marriage of Prince Charles to Lady Diana Spencer captured on stamps. Stamps acting as markers in time continues right up to the present day with 2018 already seeing the postal celebration of Prince Harry and Meghan Markle’s wedding and the centenary of the Royal Air Force. Delving into the past always delivers insights and surprises, and stamps are no exception. For information on buying stamps at auction contact Tony Lester Auctions Ltd.